The size of your hit does matter. Now that the CBD prescription Epidiolex, designed for epileptic adolescents, is approved by the Food and Drug Administration, Americans may be more receptive to the merits of medicinal marijuana than ever before. Those looking for relief for chronic pain or post-traumatic stress disorder might now turn to cannabis when they'd perhaps abstain otherwise. But for those who may not want to feel overly inebriated or sedated, the incredibly high levels of THC the market demands may scare them away from dispensaries. But in actuality, small levels of consumption — known as "microdosing"— still gives many of the benefits found in THC without many of the unwanted effects. Microdosing started as a common term for people who took minimal amounts of LSD or other hallucinogens as a way to treat their anxiety, depression and stress. With the objective being a sub-psychoactive dose, patients are able to reduce their stress and pain while still retaining their focus. For those with chronic illnesses, like multiple sclerosis or fibromyalgia, the goal would be a high dosage once there is a flare up, and subsequent decreases until eventually microdosing for maintenance. "The goal is to use the dose that gives the most minimal noticeable effect," osteopathic physician Dustin Sulak tells Leafly. "You are not trying to get stoned, you are not trying to get total relief from symptoms — you are just trying to get a little something. And then once you get to that dose where you feel a little something, stay there for a few days and then you can start gradually increasing if needed." For regular cannabis users looking to begin a microdose regimen, a two-day abstinence is recommended to reboot your endocannabinoid system which is prone to proactive tolerance building. And studies on microdosing have seen patients with an increased sensitivity to cannabinoids, which Sulak believes to be beneficial when dealing with major episodes. "If you are building tolerance to THC, you are building tolerance to your body's own cannabinoids, which are there for the purpose of promoting balance and health," Sulak says. The ideal form of cannabis for microdosing would most often be either tinctures, oils or edibles, due to the ability to accurately measure out 1-3 milligrams. 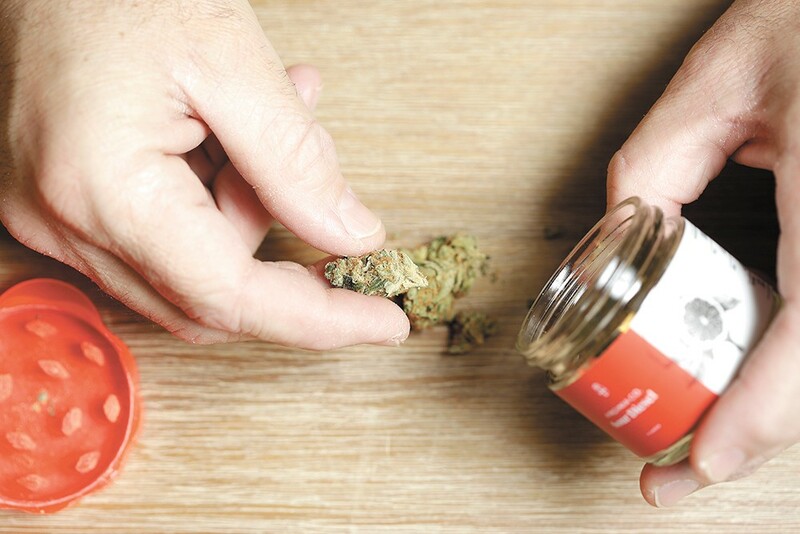 There are no low-dose products currently in the market, and because of pot's newfound accessibility it may be difficult to see microdosing or moderation becoming a large trend in the cannabis community. The original print version of this article was headlined "Micro Meds"